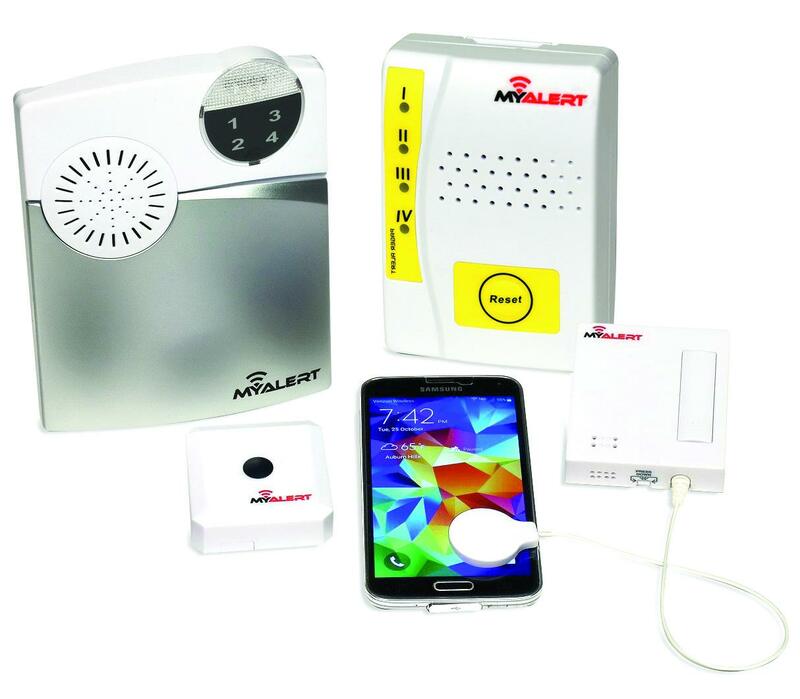 The MyAlert Signaling System alerts the Deaf to common household alerts. WHITE PLAINS, N.Y. - Nov. 28, 2017 - PRLog -- Harris Communications is bringing its latest technology for the Deaf to the Deafopia Holiday Expo, 11 a.m.-7 p.m., Saturday, Dec. 9 at the New York School for the Deaf, Fanwood, 555 Knollwood Road, White Plains, New York. During the Deafopia Holiday Expo, Harris Communications will introduce the EZ Sign Smartphone Stand. This inexpensive adhesive-backed stand is a great stocking stuffer for Deaf friends and family. It sticks to the back of any smartphone or case, freeing the user's hands to communicate in sign language when using video calling apps. EZ Sign can be used horizontally or vertically, and adjusts to six different angles. It folds flat when not in use. EZ Sign comes in black or white and is sold in two-packs at www.harriscomm.com or call 952-388-2152 (video phone) or 877-539-7445 (voice). Other new products on display include two new Bluetooth® bed shakers that pair to smartphones – the Serene Innovations Super Bed Shaker and the iLuv SmartShaker 2; the new iLuv TimeShaker Wow and iLuv TimeShaker Super vibrating alarm clocks, and the new economical MyAlert signaling system from Silent Call. Visit the Harris Communications booth to see these products and other assistive technology, from cell phone signalers for the Deaf, to bed shaking and vibrating alarm clocks, to whole house signaling systems that alert to doorbells, ringing phones, FaceTime messages, smoke alarms/CO detectors, crying babies and more. Meet with knowledgeable ASL friendly staff from Harris Communications throughout the day. Product will be available for purchase. For more information, visit https://www.harriscomm.com, or call 952-388-2152 (video phone) or 1-877-539-7445 (voice). Based in Eden Prairie, Minnesota, Harris Communications, Inc. is a leading supplier of assistive products for the Deaf and hard of hearing. Since its founding in 1982 by Dr. Robert Harris, himself a member of the Deaf community, Harris Communications has helped millions of Deaf and hard of hearing customers enjoy their lives to the fullest by providing expert advice and a wide range of more than 2,000 assistive devices and educational resources. The company's product line includes alerting devices, phone and TV amplifiers, personal amplification systems, tinnitus maskers, books and media and much more. Harris Communications also supplies ADA compliance products and hearing protection equipment.